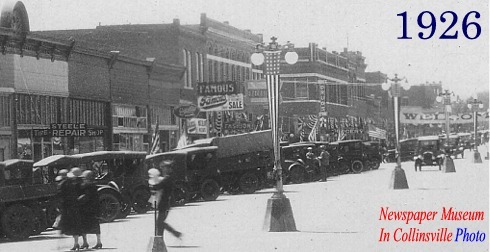 I showed approximately 200 photos spanning 1899 to present with a random sample of Collinsville's history. The photos are from the archives of the "Newspaper Museum In Collinsville" which draws on Collinsville news events covered by the Wright family for 88 years in "The Collinsville News" (1899-1987) and more recent photos I've taken covering Collinsville in the www.cvilleok.com community news web site. I opened the Newspaper Museum in 1999 on the 100th anniversary of the first issue of The Collinsville News published by my great-grandfather (W. L. Wright on May 11, 1899). My main area of interest / research since opening the museum has focused on the downtown area and tracking how buildings and businesses have changed over the years. Other major areas covered in my research (and today's presentation) are schools and sports. It didn't take long to discover that I could not make a living running a museum so I have had to take other work to survive, which has made "museum time" scare for the past several years. The museum is still open by appointment. I have occasional school and scout youth visitors. The point of todays presentation for me is to make more people aware of the community's heritage and the resources I have available that document that history. In the 1970s a strong Collinsville historical society formed related to the effort to save the Santa Fe depot building which was moved and became a museum. Over the years, most of those historical society members have died or become inactive. Today there are no active historical preservation groups and the need for a fresh start with young members to carry the effort forward is critical. As I told the chamber group today, I do not expect to live forever and my kids have no interest in coming back to run my museum (especially since they both live outside the USA currently). 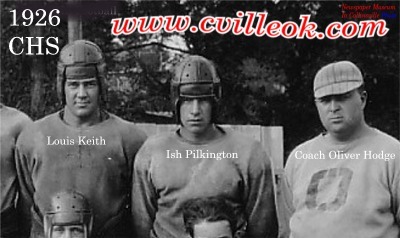 I enjoy providing new comers with information/photos of times there were unaware of and reminding old-timers of events that have faded in their memory. The basic new bridge structure on south 12th Street is in place with plenty of work still remaining before it will be ready for traffic. These photos are a week old (Jan. 1st). In Collinsville, these young girls are known as Rising Stars. This mentoring program is for young girls age 5-10 years old. The program will take place on Saturday, January 21, 2017 from 10:00 a.m. 11:30 p.m. at Collinsville High School, located at 2400 W. Broadway in Collinsville, Ok.
Young girls will have the opportunity to attend a workshop and learn about achieving their dreams and building self-confidence. They will also receive a t-shirt and a photo with Hailey Raetz, Miss Collinsville 2016 and Joelie Simmons, Miss Collinsville Teen 2016. Participants will also create a special craft with the titleholder and will receive a FREE ticket to the Miss Collinsville pageant to be held that evening at 6:30 p.m. at Collinsville High School where they will be recognized on stage and will be crowned Miss Collinsville Rising Stars. Registration is required for the program so that each child will receive a t-shirt. 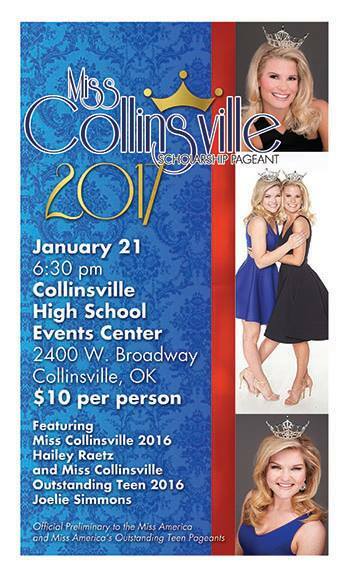 Cost to attend the program is $30 and all proceeds go toward scholarships and assistance for the 2017 titleholders who will be crowned during the Miss Collinsville Pageant. If your child is interested in participating in the Collinsville Rising Stars Mentoring Program, contact amcginnis@cityofcollinsville.com or call 918.906.4636. Deadline to register for the program is January 14, 2017.